The Deccan Plateau is a large plateau encompassing the seasoned wealth of South India. Surrounded by seas from three sides, this heritage laden plateau contains in itself great experience for long term holidays. 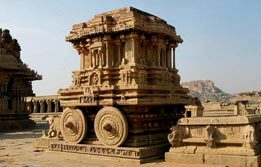 The Deccan Plateau tour is an attempt to discover the great bounties resting in different southern states. The eighteen day long journey uncovers the varied heritage of destinations like Mahabalipuram, Hassan, Mysore, Madurai, Trichy, Tanjore and idyllic surroundings of Ooty, backwater stretch of Alleppey to Kumarakom and wondrous wildlife experience in Periyar. This is surely one of the most recommended tours from India Budget Tours, for the wealth of experiences it offers to the discerning traveller. Upon arrival at Chennai Airport, meet India Budget Tours representative for transfer assistance to the hotel for overnight stay. 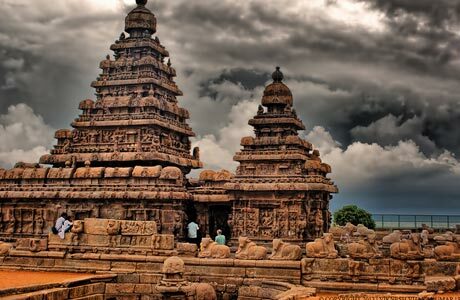 In morning, begin an excursion from Chennai towards ancient heritage towns of Kanchipuram & Mahabalipuram. Kanchipuram is a sacred seat of Hindus. 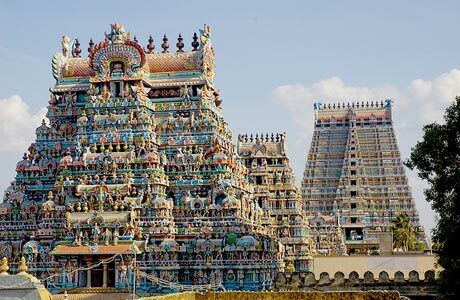 Located 64 km from Chennai, this town is one of seven most sacred cities according to the Hindus where they can attain Moksha. There are numerous temples that narrate the glory of Kanchipuram. Visit Ekambareshwara temple and Kailashanatha Temple dedicated to Lord Shiva and Varadaraja Temple devoted to Lord Vishnu. Also, don't miss out the opportunity to derive the finest patented hand woven silk fabrics at Kanchipuram. Scheduled next for the day is Mahabalipuram, a world heritage site denoted with the presence of ancient rock cut temples, caves, monolithic chariots, open air bas reliefs and two relief rock panels. Established by the Pallava dynasty as a port city of seventh century, this is an immaculate sculpting example of the ancient carvers. After the excursion is over, return to Chennai for overnight stay. In the morning, check out from hotel and begin Chennai city tour. This is a cosmopolitan city presenting itself as the heartland of southern India to any traveller. Start Chennai tour with a visit to Fort St. George, India's first British settlement in the then Madras and St. Mary's Church, the oldest angelical church in the country. The memorial of Gandhi Mandapam, Light House, Marina Beach & Aquarium are next in this city tour. After lunch visit San Thome Cathedral, Theosophical Society, Valluvar Kottam dedicated to the great Tamil poet and saint Thiruvalluvar. If time permits, visit Ripon Buildings and War Memorial Fort Museum. In the evening, board the train # 2759 Charminar Express dep. 18:10 hrs for journey towards Hyderabad. Overnight on board. Arrive Hyderabad at 08:00 hrs and check into hotel. 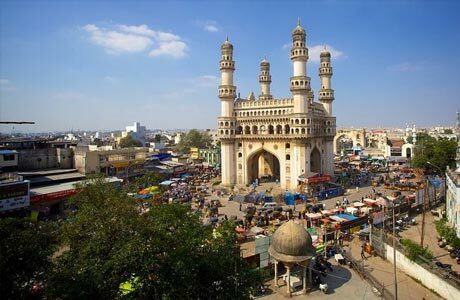 In the afternoon, begin Hyderabad city tour with a visit to the most recognizable structure and the signature landmark of this hi tech city, Charminar. This is the busiest part of Hyderabad surrounded by grand mosques, palaces, and lively bazaars where lac bangles, pearls and perfumes can be sourced in abundance. Later this day, visit Salarjung Museum. This museum features an exotic collection of over 40,000 artifacts belonging to Salarjung III, Prime Minister of Hyderabad (1899-1949). The collection includes an impressive array of selective objects, including Mughal jade collection, miniature Deccani paintings, Indian stone and bronze sculpture, inlaid ivory objects and a prized 13th century Koran copy signed by three Mughal rulers. All these rare attractions at Salarjung Museum make the visit to the museum an enchanting experience. Overnight in Hyderabad. 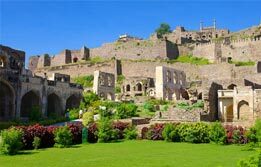 In the morning, check out the hotel for an excursion to the 13th century Golconda Fort. This fort was the only renowned diamond mine of subcontinent in the 18th century. Set in a lush landscape just west of Hyderabad, Golconda Fort served as the headquarters of the seven Qutb Shahi kings from 1518 until the end of the sixteenth century, when the court moved to Hyderabad. One of the most impressive forts in India, this citadel is known for ingeniously evolved water supply system, acoustic signalling phenomenon and other striking monuments of a fort including mosques, chambers, secret tunnels, etc. After the excursion, board the train # 2785 Bangalore Express dep. 19:05 hrs in the evening for a journey towards Bangalore. Overnight on board. Arrive Bangalore at 06:05 hrs. Transfer to hotel. In the noon, begin sightseeing of Bangalore. This garden city is known for many lavish gardens like Lal Bagh Botanical gardens, Cubbon Park and Indo-Saracenic architecture of Vidhana Soudha and Government Secretariat. Also, pray in front of Bull temple, Basvanagudi. 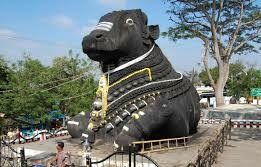 It is the only temple in the world to feature the largest statue of Nandi, Shiva's Bull. Overnight in Bangalore. Check out Bangalore for Hassan (192 km / 4-5 hrs). This is an entry point to discover the heritage etched towns of Sravanabelagola, Belur and Halebid. Upon arrival, check in to the hotel in Hassan district. Sravanabelagola, located between two granite hills is the most important site of south India, dominated by the colossal statue of Lord Gomateshwara, also known as Bahubali, son of the first Jain Tirthankara. In the afternoon, visit the famous 12th century temples of Belur and Halebid, the outstanding specimens of Hoysala architecture. Overnight in Hassan. 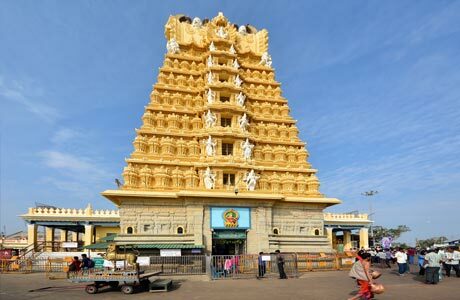 Check out Hassan for a drive towards Mysore. Enroute, visit Srirangapatnam, 16 km before Mysore. Within the summer palace of Tipu Sultan, there are many buildings in pleasant state. His tomb at Darya Daulat Bagh (Garden) is another attraction of visiting Srirangapatnam. Welcome to Mysore, the city of senses. Here, the sensory aromas of Sandalwood forests and colours of Mysore paintings and silks are present in every possible way. Upon arrival, check in at hotel. In the noon, begin the Mysore city tour via a visit to Maharaja Palace. This stately building, built in 1911-12 lends a charm to the city. Continue exploring the beat of the city via the Art Gallery where numerous paintings of Mysore tradition can be spotted. 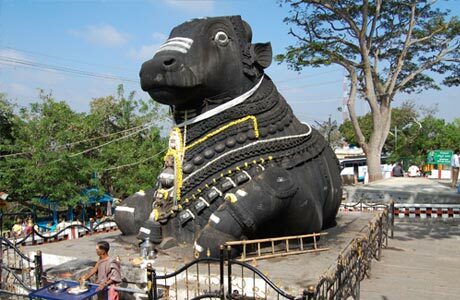 Continue drive upto Chamundi hill to visit Chamundeshwari Temple and on way back, see the Nandi Bull and colossal Mahishasura statue. Overnight in Mysore. Leave Mysore by car for Ooty, the charming glory of Nilgiris. On arrival, check in to hotel. Begin a hill station tour of Ooty with a visit to the Botanical Gardens. 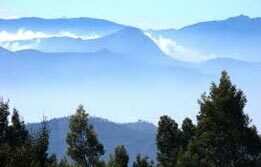 Trek towards Doddabetta Peak, the highest point of the Nilgiris. Overnight in the cool contentment of Ooty. Leave Ooty by car for Cochin. Upon arrival, check in to hotel. 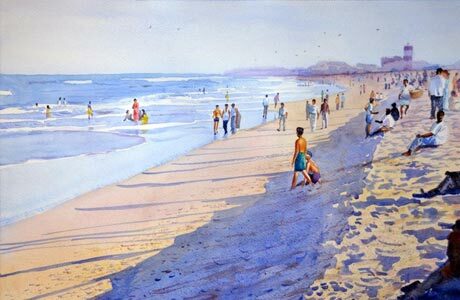 Rest of the time is free at leisure in the captivating aura of Cochin. Overnight in Cochin. In the morning, begin exploring Cochin's deep rooted links. Visit the Dutch Palace, the only Jewish Synagogue in Asia (closed on Fridays) and the cantilevered Chinese Fishing Nets. Afternoon is free for leisure. In the evening, watch Kathakali Dance show in a culturally rich evening. Overnight in Cochin. 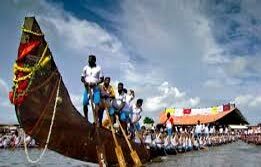 In the morning, drive to Alleppey (70 km / 1½ hrs) and board the houseboat. This is one of the most idyllic experiences of The Deccan Plateau Tour where the lazy lagoons showcase and provide the most enchanting cruise of a lifetime. 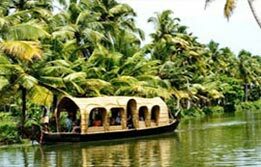 Bonus with this deluxe houseboat Kettuvallam cruise is the outstanding views of natural scenery around daily village activities. All meals will be served on board. Overnight on board. Disembark at Kumarakom. Check in the hotel. In the noon, visit the Kumarakom Bird Sanctuary, famous for migratory birds. Later drive to Periyar (135 km / 4 hrs). Overnight at hotel. 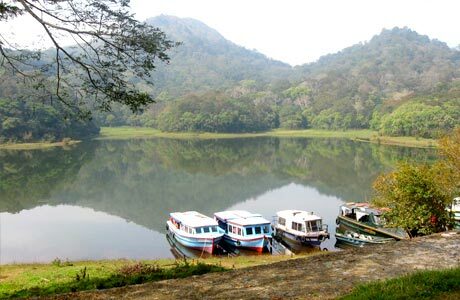 In the morning, begin a boat ride on the Lake Periyar to view wildlife. In the noon, begin a spice trail at Periyar with a visit to the nearby spice plantations. Overnight in Periyar. In the morning, check out Periyar and drive towards Madurai, the love nest of Goddess Meenakshi and Lord Sundareshwara. Upon arrival, check in the hotel. In the afternoon, begin a sightseeing tour of city via Tirrumalai Nayak Palace and Meenakshi Temple. In the evening, watch the prayer ceremony at Meenakshi Temple. Overnight stay in Madurai. Check out Madurai for a drive towards Tiruchirappalli (Trichy). This is another temple town serving as a home to a number of outstanding temples. 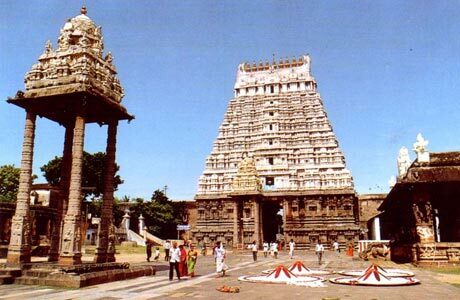 This second largest city of Tamil Nadu is known Rock Fort Temple and Srirangam. Overnight in Tiruchirapalli. Devote the day towards excursion in Tanjore. 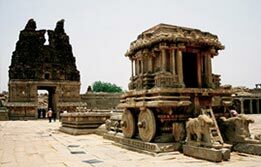 Here, tourists can visit the world heritage site of the Great Living Chola Temple, Brihadeeshwara Temple. Other attractions in Thanjavur or Tanjore include a visit to the old town, the Raja Museum and the Art Gallery. Later connect train # 6178 Rockfort Express dep. 20:30 hrs. Overnight on board. Arrive Chennai at 05:10 hrs. On arrival, transfer to airport for flight back to home with an enriching discovery of Deccan Plateau tour. Room on sharing basis as per itinerary for total 17 nights (3 Nights on train and 14 Nights at hotels). Hotel check in / out 12:00 hrs. Daily buffet breakfast at hotel. On Houseboat all meals will be served. Aircon standard car (Tata Indigo / Ambassador) for all transfers and sightseeing as per itinerary. English Speaking Guide during sightseeing tour. Kathakali Dance show at Cochin. Boat ride/ Spice and plantation tour in Periyar. 2 AC Train Tickets for Chennai / Hyderabad, Hyderabad / Bangalore & Thanjavur / Chennai.